As a parent, realising that your child is experiencingdifficulties is an emotional experience. Feelings of worry, concern, helplessness and often frustration arecommon. When difficulties are subtle,complex or multi-faceted it can be difficult to articulate these concerns andfor others to understand the impact that they are having on your child and onthe whole family. A recent testimonialfrom a family reinforced to me the benefits of offering a stepping stonetowards the right path. Grow Communication’s pre-assessment aims to do justthat. Families frequently contact Grow Communication to discuss concerns about their child’s social communication difficulties. This may be an early concern, a need for a listening ear following years of unanswered questions or a more definite question needing answered. Families are often not ready to move to a full blown in-depth private assessment which is costly both emotionally and financially. We understand this which is why we have developed the pre-assessment offering. This assessment allows families to set out what has been happening for them and for the therapist to meet the young person and complete some initial assessment of their language and communication skills tailored to the young person’s needs. We also gather some background information, ask families to complete some screening questionnaires and if appropriate link with other’s involved such as school or nursery. As we learn more about how Autism can present, we realise and appreciate the significant variations in presentation and how this can manifest. We also understand that masking is a hugely common occurrence but leaves families feeling frustrated when education and health professionals struggle to identify with the families experiences at home. Click here https://wp.me/p5KOBh-Dl for Jude’s wonderful blog about masking. The assessment takes place at the Grow Communication Clinicand aims to be a calm and relaxed informal experience often involving coffee,juice and biscuits! The pre-assessment aims to provide a safe non-judgementalplace to lay out and acknowledge the parent’s and child’s experiences andconcerns, and come to an agreement about the best next steps. At the end of the assessment, the family and therapist agree how best toproceed and a report is drafted. Forsome families, that single appointment and report with recommendations isenough. Many families go on to receivedirect support based on the recommendations or to a further in-depthmulti-disciplinary assessment. 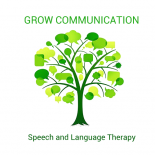 This entry was posted on February 7, 2019 by katybennetgrow in autism pda assessmemt and tagged assessment, autism asd adhd diagnosis, grow communication, speech and language therapy.